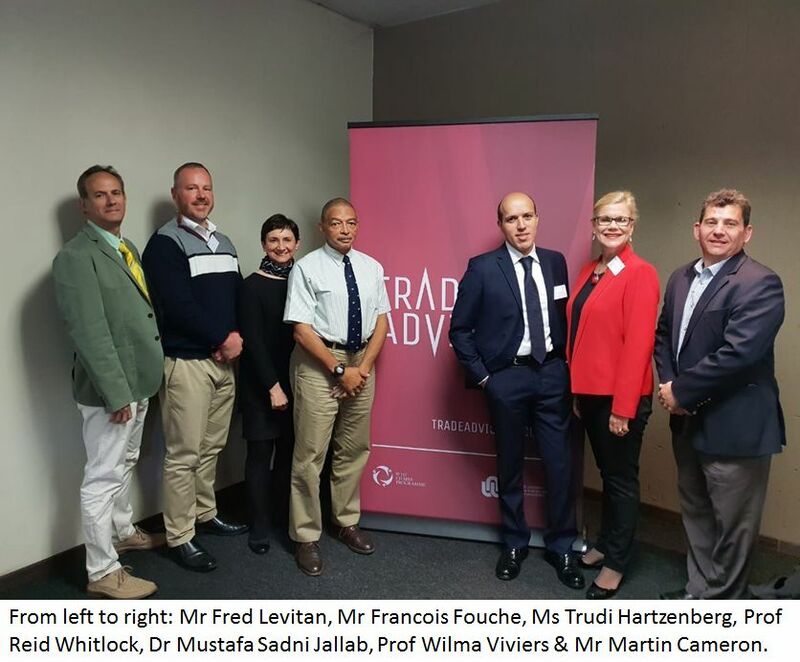 The untapped trade potential and the barriers that impede trade and investment flows in Africa were put under the spotlight at a ‘Trade flows in Africa’ workshop convened in September under the WTO Chairs Programme at the NWU in association with TRADE Advisory. Could the AfCFTA be the answer to Africa’s lacklustre regional trade performance? One of the guest speakers at the workshop, Dr Mustapha Jallab from the African Institute for Economic Development (IDEP) at UNECA, said that while growth rates in many African countries had been rising, much of the continent’s trade potential remained untapped. He attributed much of the problem to high trade costs. Although the launch of the African Continental Free Trade Area (AfCFTA) represents an important step towards greater market access and higher volumes of trade in Africa, trade costs will remain an impediment if they are not systematically tackled. Mustapha emphasised the importance of trade facilitation (specifically the implementation of the Trade Facilitation Agreement/TFA by more countries) in streamlining trade rules and procedures, reducing trade costs and encouraging greater intra-regional trade. For the best results, tariffs and trade costs should be tackled together as this will encourage more efficient collection of customs revenue, mitigate possible revenue shortfalls in the wake of tariff reductions, allow greater participation in regional value chains and attract higher levels of FDI. Another guest speaker, Trudi Hartzenburg, the Executive Director of tralac, spoke of the difficulty of forging consensus among the large number of African countries covered by the FTA, saying that it cannot be a panacea for Africa’s problems and that concessions will be necessary if the agreement is to be an effective instrument of trade liberalisation and market access. To date, the modalities and rules under the FTA have not yet been negotiated and so the full activation of the agreement is still a long way off. African countries need to commit to giving shape and weight to the FTA so that it will be able to deliver on its ambitious promises.